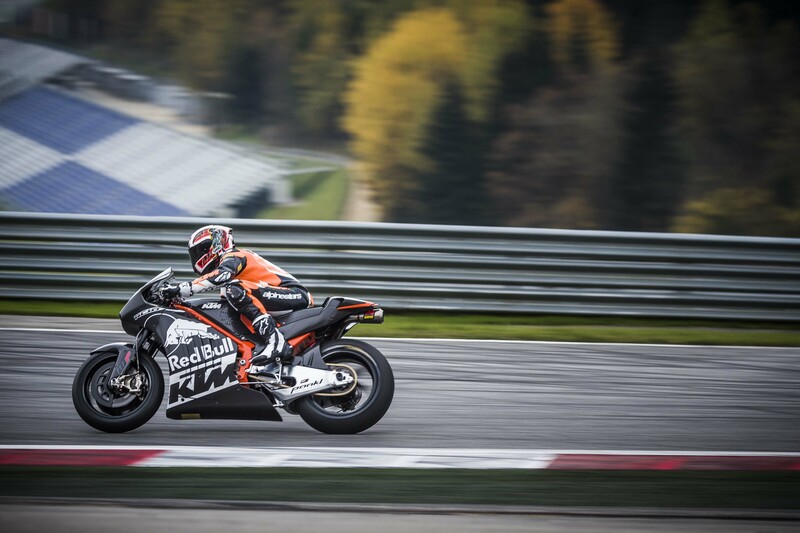 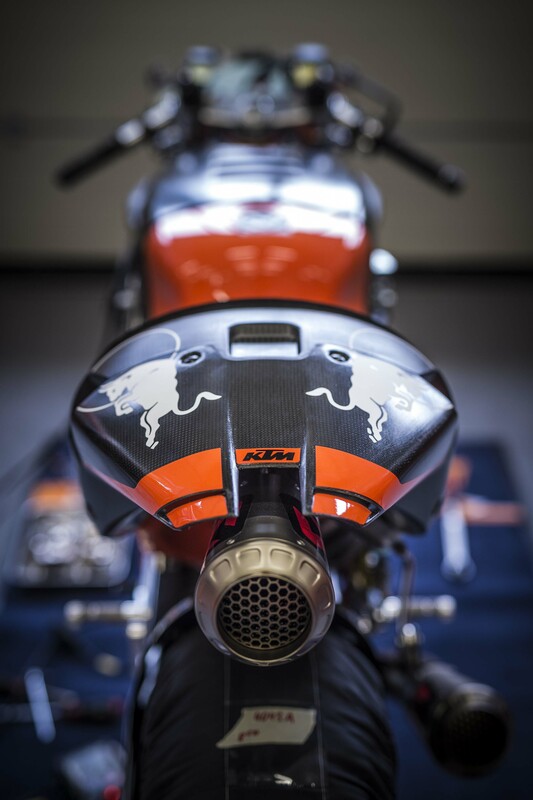 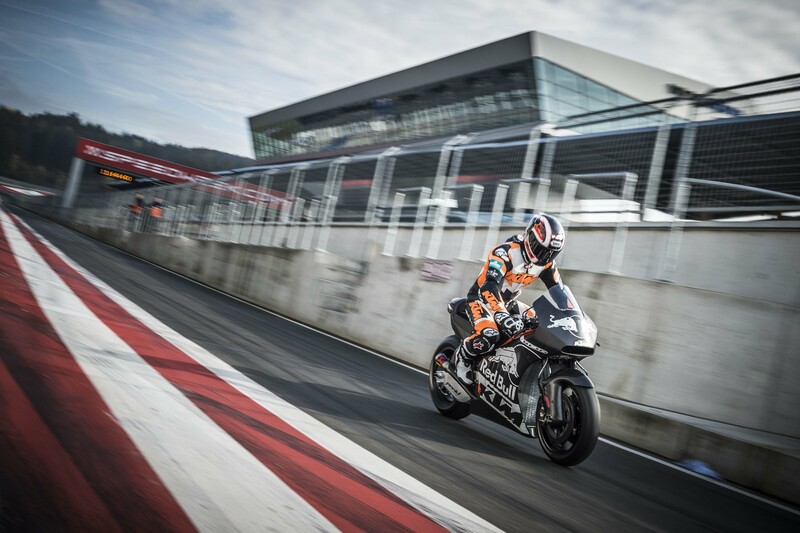 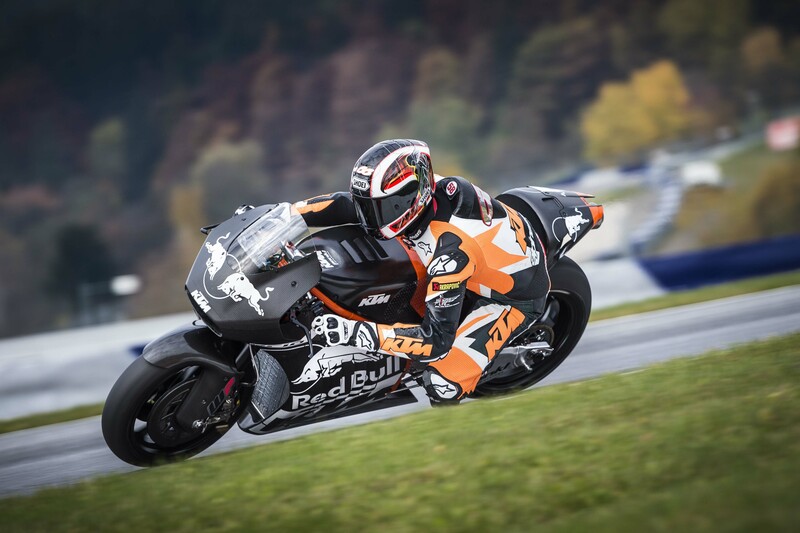 This is our third story about the KTM RC16, in I don’t know how many weeks, but the Austrian brand just dropped off a bunch of high-resolution images of its MotoGP race bike in the company’s media gallery, and we feel obligated to share them with you because they’re just that good. 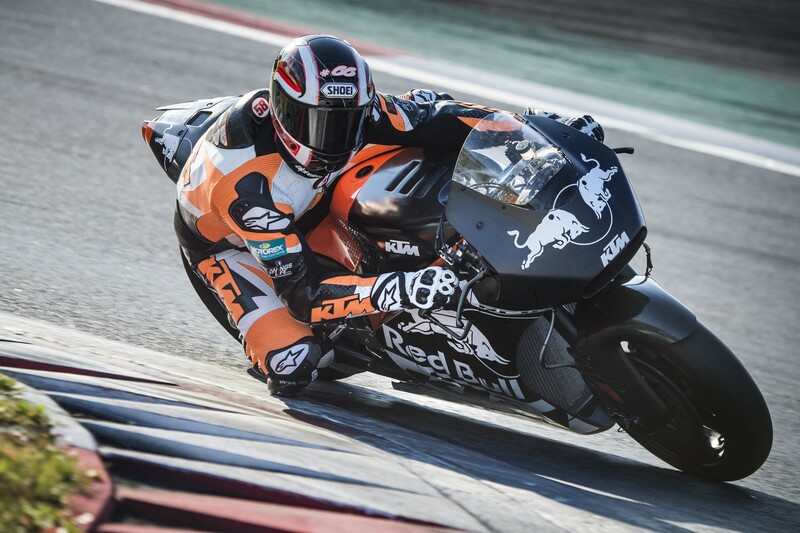 While the MotoGP paddock is in Valencia right now testing machines, electronics, and riders for the 2016 season, KTM is busy looking farther down the road with their plans to join the premier class in 2017. 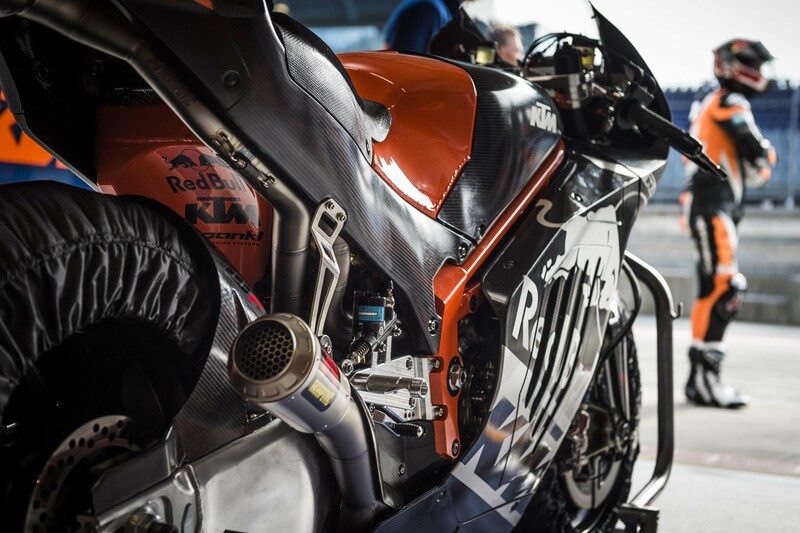 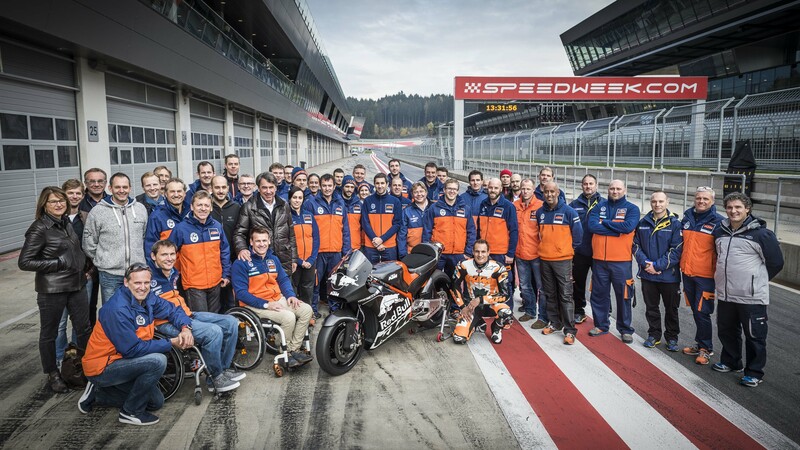 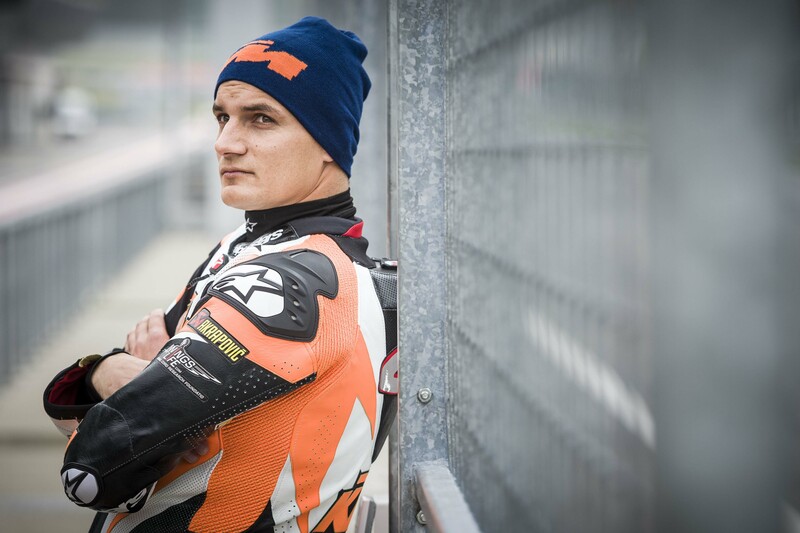 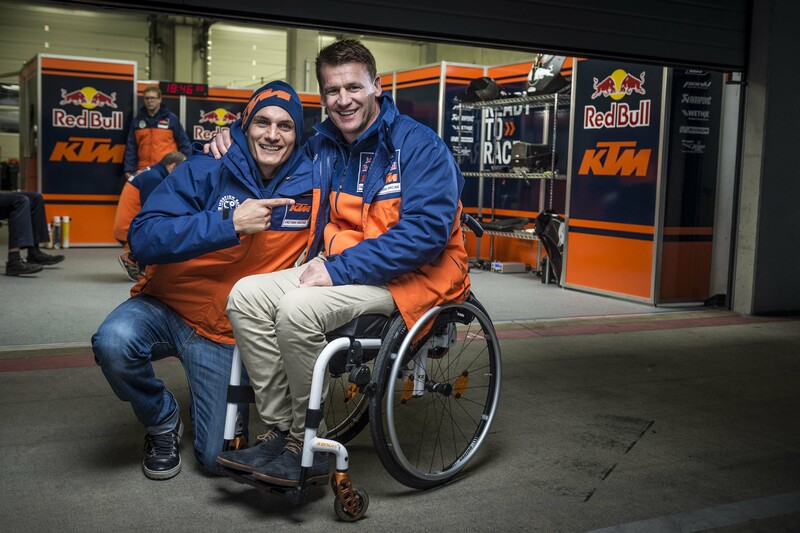 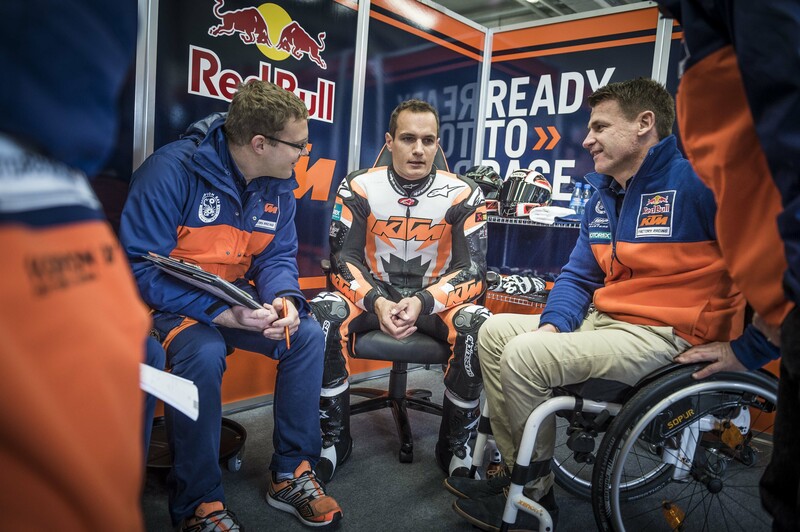 The KTM factory team is being cagey about how many resources it is devoting to the MotoGP project, though we do know that KTM is building a dedicated facility for the MotoGP project in Mattighofen and hiring top-level talent right and left for the effort. 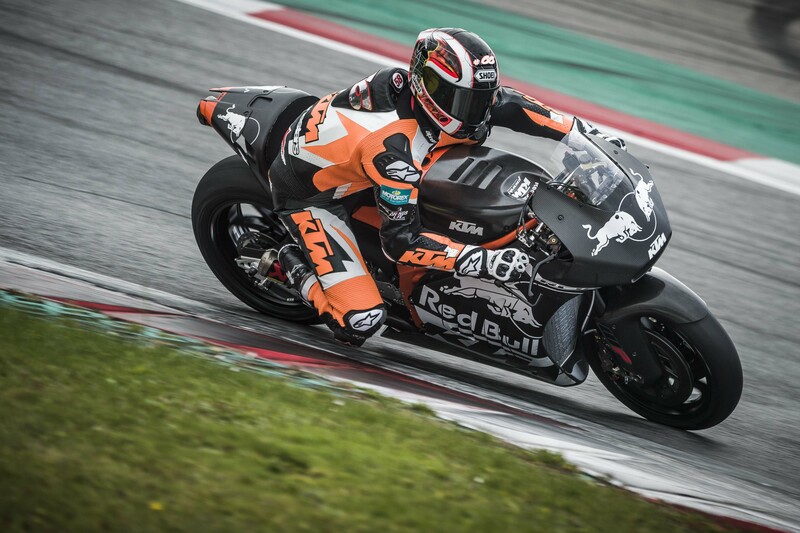 So far KTM’s hard work has brought out a machine that visually looks like a lot like the Honda RC213V, and smart speculation pegs the power plant between the fairings as being very similar as well: a 90° V4 with a “screamer” firing order. 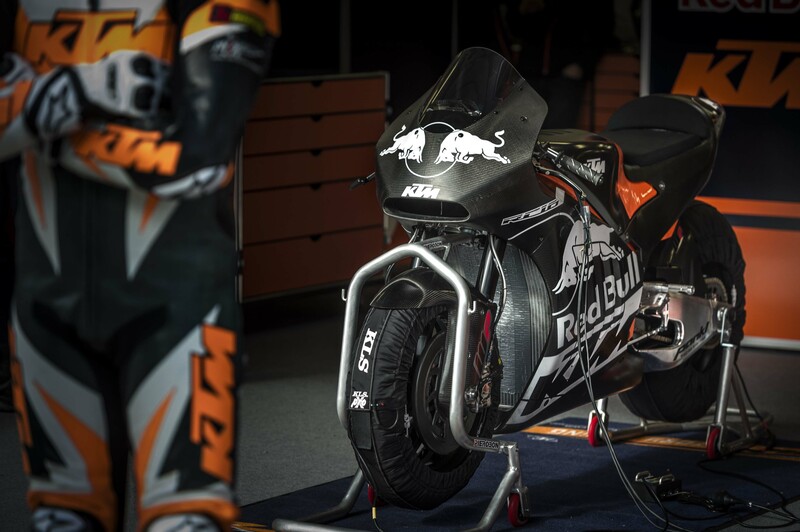 KTM is of course using a steel trellis frame design and WP suspension, and numerous more subtle changes abound. 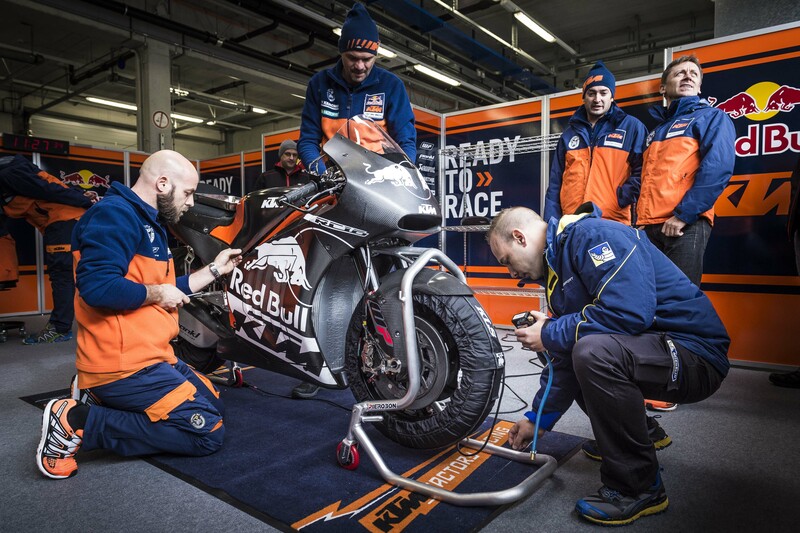 Reportedly KTM is keen to hire MotoGP suspension gurus to help add to the knowledge already found at WP – could we see a new brand come into MotoGP to rival standard-bearer Öhlins? 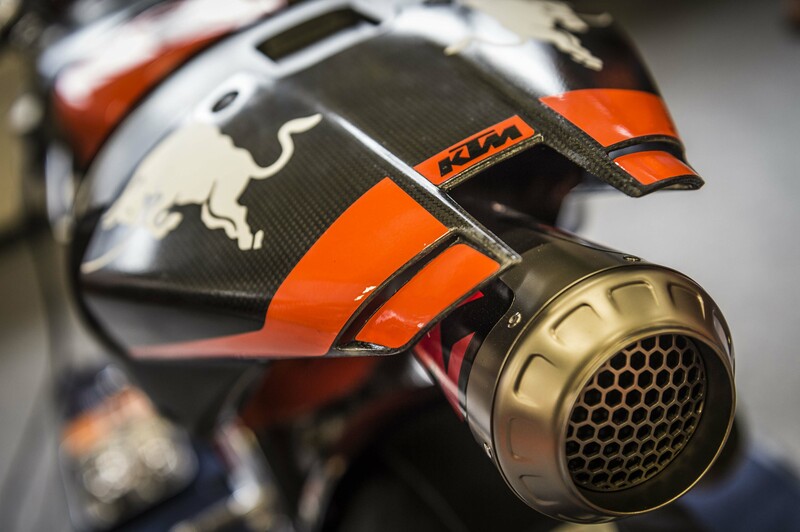 While we ponder all that, there are 22 ultra high-resolution photos for you to ogle over, after the jump.